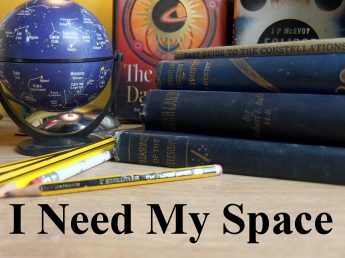 Astronomy in Perton | I Need my Space! I went to Perton Library Astronomy group tonight, they’ve got a smashing little club there. It’s basically a gathering of people interested in astronomy, of varying experience, meeting up to chat and have talks, and hopefully do a bit of observing. We were lucky tonight, and the west facing outside patio area served as a nice observatory for a couple of hours. There were three scopes there – I didn’t take mine (though I wished I had). There was a refractor, (perhaps three inch, I forgot to ask), a small reflector that was bought at a bargain price of £30 from a charity shop, and a little 100mm table-top reflector on a dob mount. We started by looking at Arcturis in Bootes, and Vega in Lyra, as they appeared in the twilight. Then, as it got darker we managed to see Saturn, which was much higher than I expected, (I was saying “nahh, we won’t see Saturn”, and was pleased to be proved wrong – only my second sighting this year!). It was lovely to see it through a refractor for the first time, the image was very sharp and steady considering we were looking at it from a light polluted area, certainly a much better viewing than my attempt over by Halfpenny Green earlier in the year. The same scope also afforded us a lovely view of the Great Cluster in Hercules, a small, but quite a bright fuzz placed in between, and to the left, of two other stars. The table-top dob being used, (left), which belongs to the club. It looked initially like a toy to me, it hadn’t got a finder-scope as such, just a red dot thing, powered by a battery. I didn’t think a scope as small as that would be much use, but after a few minutes I found I could use the spotting scope easily. I aligned it on Vega, star-hopped easily to the double-double in Vega and found the spot where the ring nebula is. I didn’t see it, but it was too much to expect to see a 9.2 mag nebula in a light-polluted street with such a small mirror. I turned it towards Brocchi’s Cluster (the coathanger) and had a lovely sharp view of the (mostly) line-of-sight cluster. Then I turned it to the Perseus Double Cluter, and again, found it easiy with a lovely pin-sharp image. The mount glided nicely, and I was impressed with the quality of the build, along with the optics. Time was running out, (the library has to close at nine pm), so after a quick look at Mizar (three stars resolved), we had to leave. A shame, as Andromeda would have moved into view within the hour round the corner of the library, and I’d have loved to seen it through this new dinky little telescope. The mirror on the scope is 4 inch. My first ‘grown up’ telescope was only 4.5 inch, and that was a smashing scope on which I did loads of useful observing. Obviously, the focal length on this table-top model is a fraction of the length of a larger scope, but even so, for wide-field astronomy, I bet this works great under a dark sky. If I’ve learnt anything over this summer, it’s the importance of keeping things simple. I think the secret to successful amateur astronomy is to get to know the night sky, and invest in instruments that are practical to use, rather than buying the most expensive gear you’ll never use because it’s like the flight desk of concord. This 100mm Skywatcher scope is only £100. I’m going to order one because I just know it’ll get used loads, in lay-bys on the way home from bookings. It also has a thread underneath that can be attached to a photography tripod. It’s a little smasher!